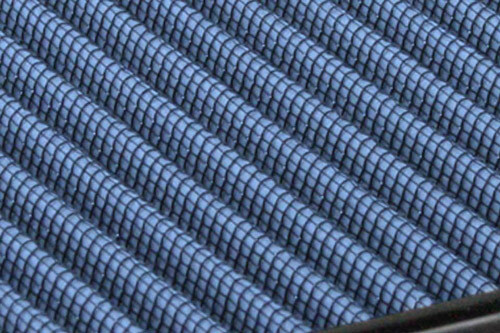 Our Filters Use Rounded Deep Pleats for Maximum Surface Area and Increased Flow. 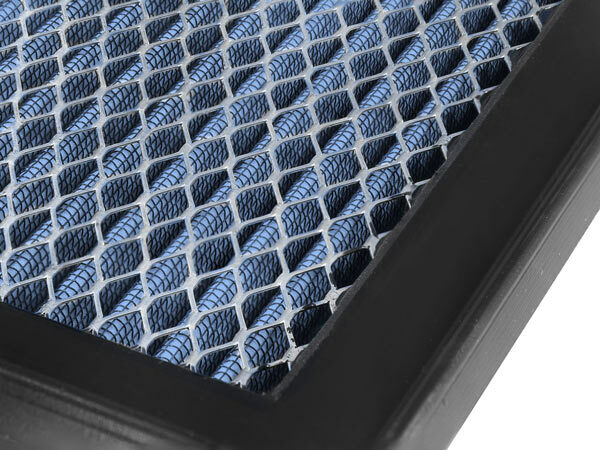 Pliable Sealing Surface Allows Our Filters to Conform to the Most Uneven Filter Housings. 100% Polyurethane Frame Provides Extra Long Filter Life. PERFORMANCE, Pro 5R provides your engine with the largest amount of high-flowing cold air, providing you the greatest horsepower and torque gains. 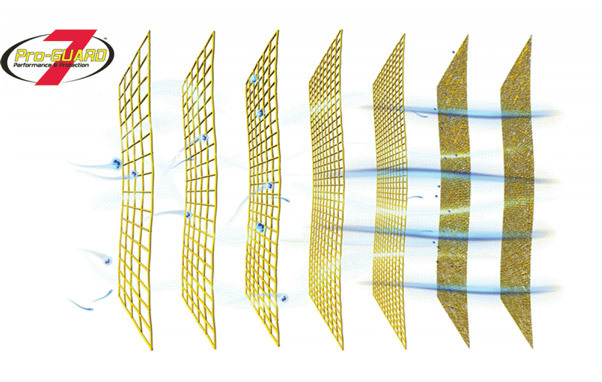 98.6% with filtration efficiency, Pro 5R outperforms other cotton gauze medias on the market. STREET, Pro 5R exceeds the necessary protection for average everyday driving. GAS/DIESEL - just the right combination of airflow and engine protection for maximum performance. 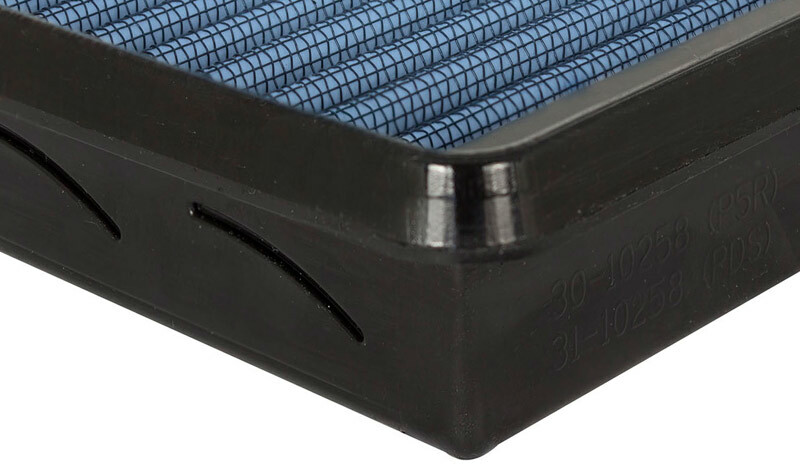 CONVENIENCE, our Pro DRY S oil-free synthetic filtration media is the world’s easiest-to-service performance air filter media requiring no oils to clean the filter. 99.2% Pro DRY S oil-free dry synthetic media combines excellent filtration efficiency with easy-to-clean convenience. STREET/DUSTY, the Pro DRY S will provide extended filter life in normal, everyday driving conditions. Whether in dry and or dusty conditions, the Pro DRY S is an excellent choice just by the ease of maintenance and protection it provides for your engine. GAS/DIESEL - excellent filtration and high flow values. Perfect for all vehicle types. PROTECTION, Pro-GUARD 7 offers unparalleled engine protection and performance when you need it the most. 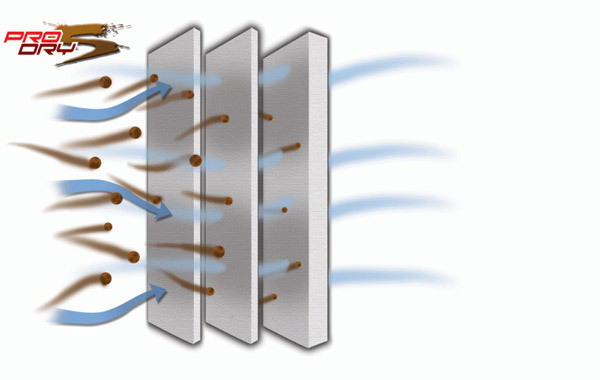 99.7% - which provides the greatest level of filtration efficiency and protection available on the market. EXTREME/VERY DUSTY/Off-road driving, our Pro-GUARD 7 is perfect for all driving conditions, and excels in the harshest, most extreme conditions imaginable. DIESEL/OFF-ROAD - The Pro-GUARD 7 was specifically developed for today's demanding diesel and rigorous off-road applications. 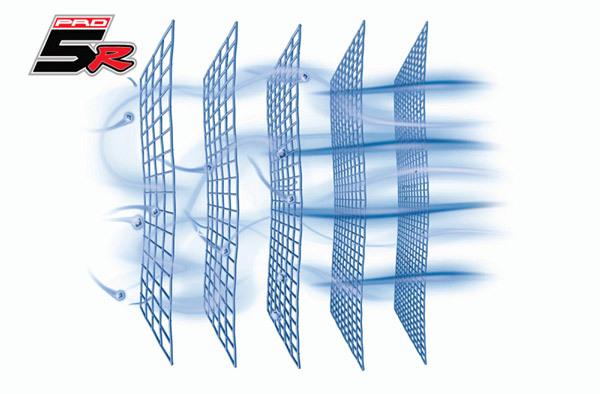 Pro-GUARD 7 provides maximum airflow with maximum protection for your expensive engine. The Magnum FLOW OER Air Filter product line up is what got aFe POWER (advanced FLOW engineering, inc.) started in the late 1990's. 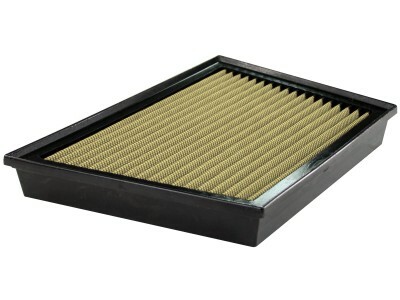 We have continued to provide the ultimate air filters available for your gas and diesel vehicles. 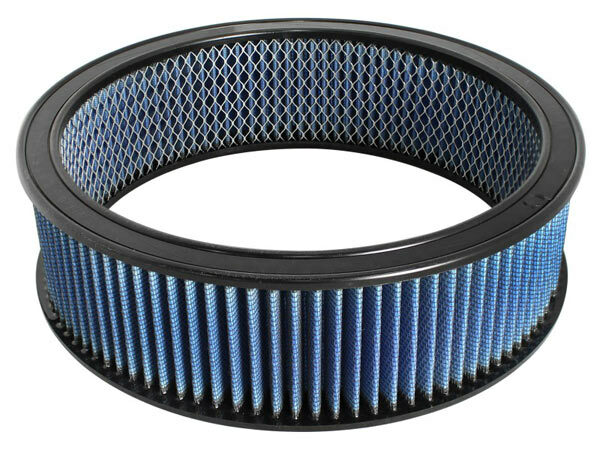 We design all of our OER Filter (Original Equipment Replacement) to increase horsepower, torque, and acceleration, while providing excellent filtration and protection to your vehicles engine. 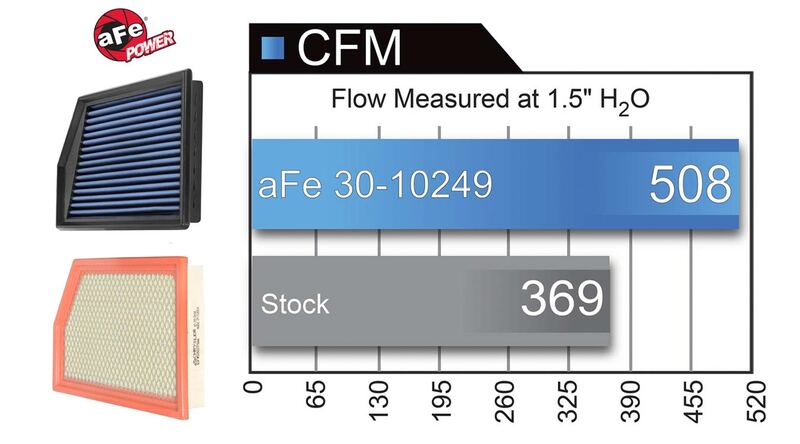 aFe POWER offers up to three air filter medias to match your driving environment and performance needs. 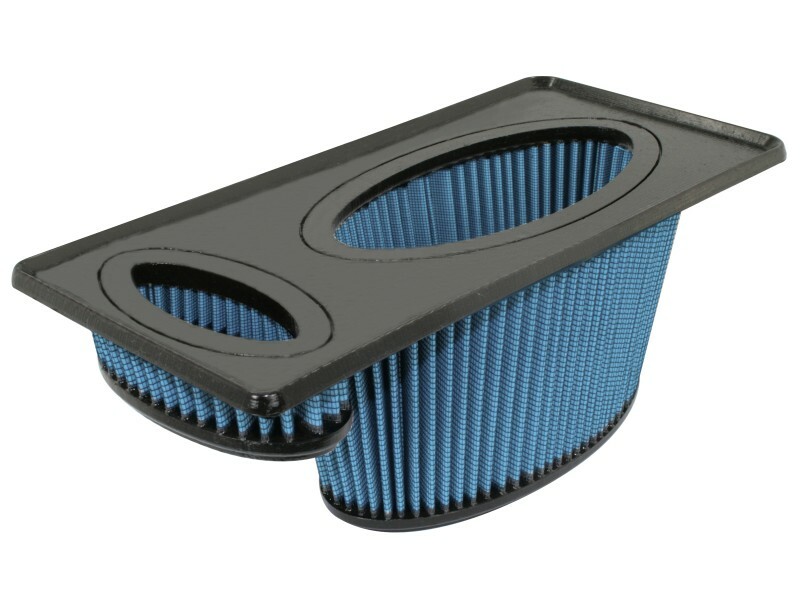 Vehicle application: Classic cars/trucks - Whether round, oval, conical or cylindrical, these non- flat OE replacement performance filters are designed to fit perfectly into the stock airbox, flow better and last longer than the original paper filter element. 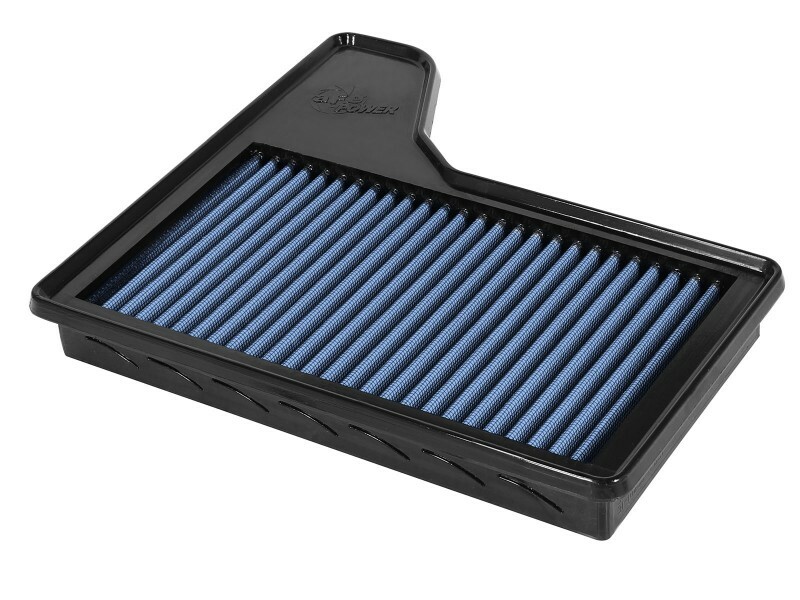 Vehicle application: Diesel Trucks - Designed to fit into the same stock airbox that our standard flat panel filter goes into, these Inverted Replacement Filters provide a considerable amount of increased air flow and filter media surface than standard flat filters. IRF filters trap more dirt and allow for longer cleaning cycles than traditional flat filters. 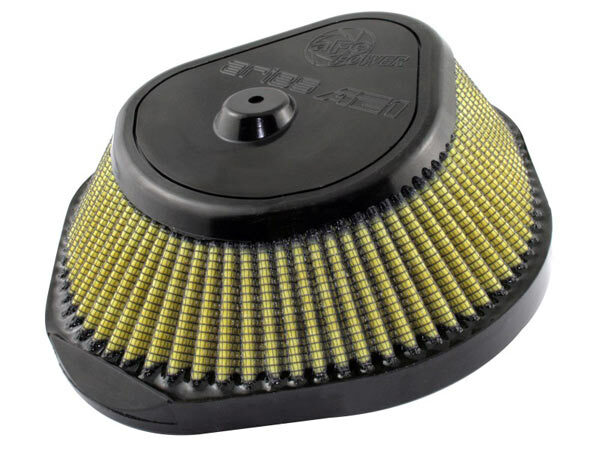 Vehicle application: Powersport vehicles - OE replacement filters for motorcycles, ATV, and side by sides come in all shapes and sizes. Regardless of the shape, these filters are available in either the Pro Dry S or in most cases the Pro Guard 7 filter media. 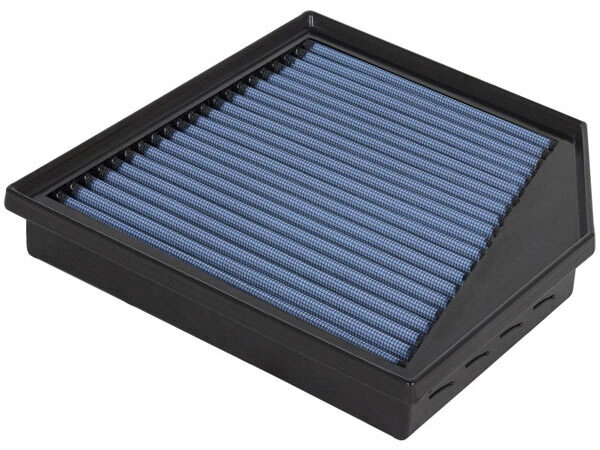 Vehicle application: For use in most Modern Vehicles, these flat OE replacement performance filters are designed to fit perfectly into the stock airbox, flow better and last longer than the original paper filter element.